CHICAGO — F.H. 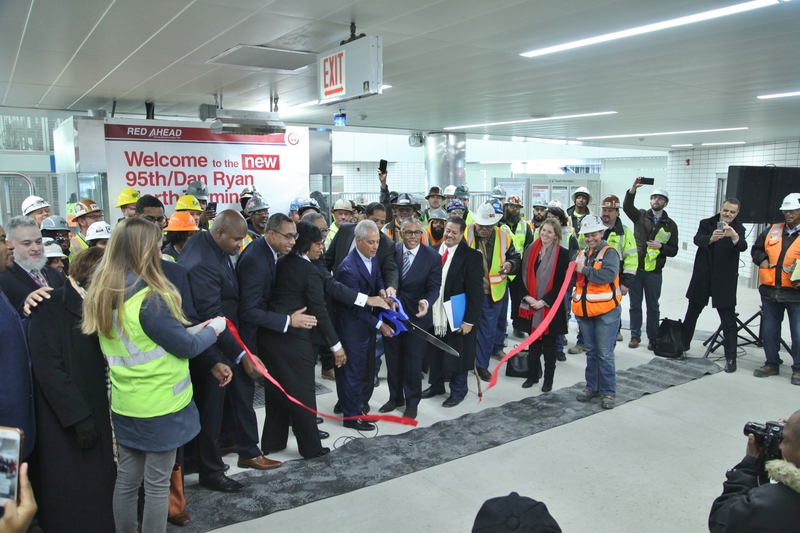 Paschen celebrates the opening of the North Terminal and the 95th Street Pedestrian Bridge of the Chicago Transit Authority (CTA) 95th Street Red Line Station Improvement Project alongside joint venture partner Milhouse Engineering & Construction. A skilled, diverse workforce of over 1200 executed this work, including residents from the local community who will enjoy access to the improved station regularly. For the 95th Street Station Improvement, F.H. Paschen’s self-perform workforce exceeded all workforce goals and included a 73 percent minority workforce with over 85,000 man-hours worked. Committed to growth and building capacity in diverse and local businesses, Paschen and Milhouse have awarded over 30 percent of this project’s subcontracts to disadvantaged businesses. The South Terminal opened for operations in April, upon completion of Phase One. 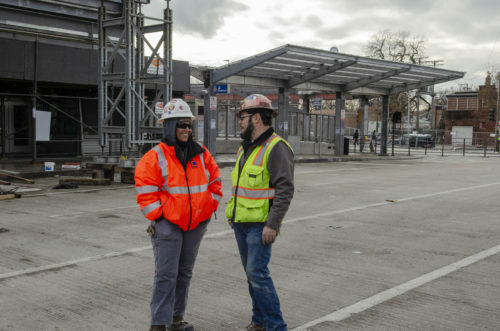 That first phase of the design–build project included not only the new South Terminal, but also bus canopies, a new south bus bridge and widened 95th Street (both eastbound and westbound) to facilitate more efficient and safer bus operations. Elements of Phase Two included major renovations and additions to the existing North Terminal, widened bus circulation pavement, a widened north bus bridge, bus canopy systems, improved vertical circulation elements in the station, and commuter bridge improvements. A new pedestrian bridge above 95th Street connects the terminals as a means of safe passage for commuters between the bus and rail services. Local aldermen, elected officials, F.H. 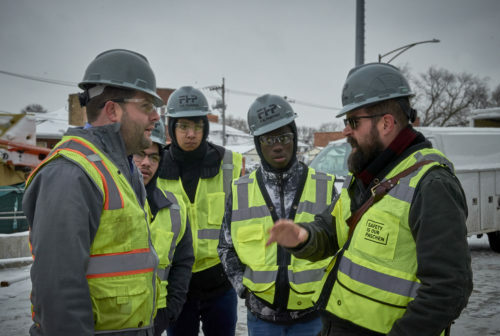 Paschen and Milhouse leadership and Paschen Engineering Scholars Program participants from George Westinghouse College Prep joined Mayor Rahm Emanuel Friday, January 4, to announce the milestone and ceremoniously open the North Terminal. This CTA station is located in the center median of the Dan Ryan Expressway (I-94) at 95th Street.